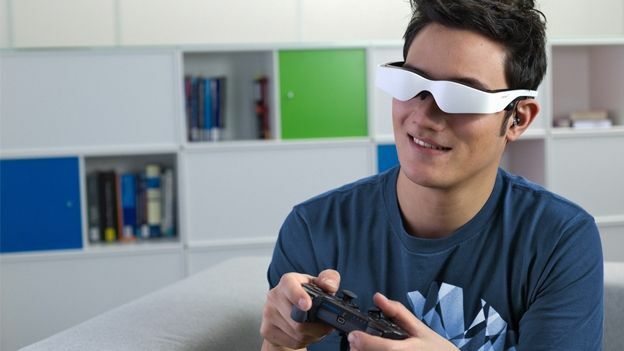 Zeiss has launched a Head Tracker add on to its Cinemizer OLED video glasses – which let you control a video game by moving your head. With the add on attached, turning your head to the left in a first person shooter has the same effect as moving the mouse – giving the gamer a more naturalistic and immersive way of controlling the game world. The glasses work on all PC shooters, and some PS3 titles compatible with the mouse attachment, and can be switched to 3D mode. Each lens can be individually focused depending on the wearers particular state of vision – so you don't have to cram it over a pair of glasses. The goggles themselves came out last November. As well as gaming they can also be used for watching films in 2D or 3D, and some presumably less legal activities like attaching it to a camera mounted on the front of an aircraft and making a POV video of it tearing around London.